Megan Follows played Anne in the 1985 film and its sequel(s). 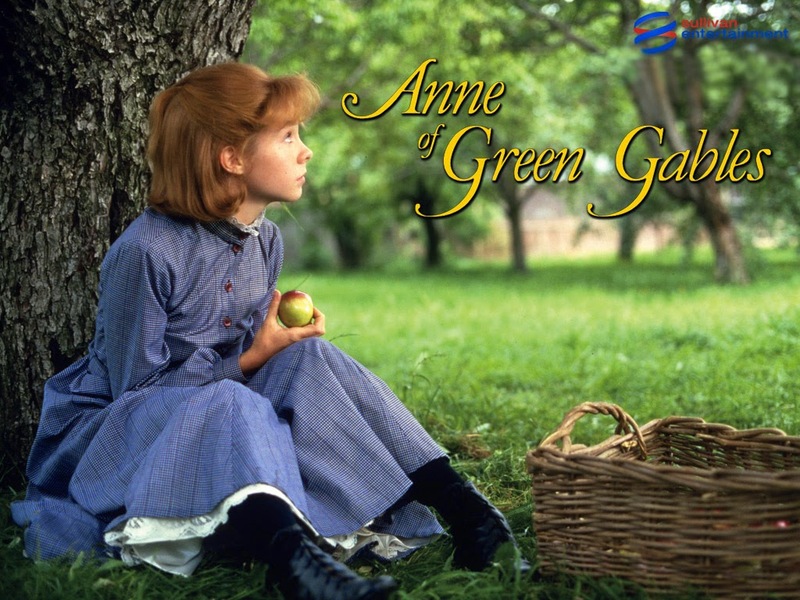 In a recent blog post, I mentioned "Anne of Green Gables" is one of the fictional characters who has had the biggest impact on my life. I'd like to share a little bit more about that today. Anne — spelled with an "e," which she insists is more "distinguished" — is a passionate, intelligent, creative, feisty girl. Throughout the eight-novel series, she grows into a woman of character who stays rooted in the loving relationships and strong principles of her childhood as she moves out into the world to seek her place in it. Here are five things Anne has taught me over the years I've read and reread her story. Imagination is a gift. Anne creates worlds for herself with her bright, creative mind. When she is lonely and unhappy at Mrs. Hammond's before coming to Green Gables, she talks to an imaginary friend named Katie. When she comes to Green Gables on Prince Edward Island, she names all of the most beautiful landmarks and refers to them by their names in conversations with the uninitiated. She renames Barry's Pond "The Lake of Shining Waters," and the Avenue "The White Way of Delight." Anne's example has reinforced to me the value and beauty of the life of the mind. Friendship is essential. Even Anne, a girl who often wanders off by herself, lost in thought, longs for real friendship. She finds it in Diana Barry, then later her college friends Priscilla Grant, Philippa Gordon and Stella Maynard. What good are your stories, dreams, plans and literary ambitions if you don't share them, test them on friends, finding your voice within the safe space of friendship? Life rarely works out as planned. Anne assures her adoptive caretaker Marilla in the series' first novel, "I never make the same mistake twice." Marilla harrumphs, saying that matters little, as she keeps finding new ways to err. Anne becomes locally famous for getting into scrapes: dyeing her hair green instead of black, getting Diana drunk on what she thought was cordial but turns out to be wine, twisting her ankle after taking a dare, nearly drowning while acting out a scene from a book, accidentally selling the neighbor's cow instead of her own, getting stuck in a broken duck house, helping the village improvement society repaint an eyesore but accidentally ordering a garish paint color and making it look worse — the list goes on. In each case, Anne learns and relearns that life rarely turns out how you want it to, but it's possible to accept your failings with grace and good humor and move on. You can make an impact if you know what you want and pursue what you're good at. Anne spends a lot of time and energy competing against people who aren't enemies, nearly marrying a man she doesn't love, etc. However, she also knows she was born to write and teach, and she pursues those goals despite many setbacks. The idea of love is not actually love. For the longest time, Anne operates under the delusion that romance (the "tall, dark, inscrutable hero") is what she needs in love, and she won't settle for less. Gilbert Blythe, meanwhile, a true friend and man of character who really understands Anne and loves her for herself, sits on the sidelines waiting for her to wake up. I think many of us, especially literary and artistic types, sometimes need reminders that love is commitment, love is showing up, love is sacrifice; it''s not a grand gesture; it's not merely poetry and passion. Gilbert gets this. Anne learns it after many missteps. What are some lessons you've learned from the stories of a favorite literary character? Leave me a comment here or over at my Facebook Community page. Read other posts in the Storytelling Sunday series here. That's so cool! Which would you say is your favorite book in the series? I think the first three, then the last one ("Rilla of Ingleside") are my faves.